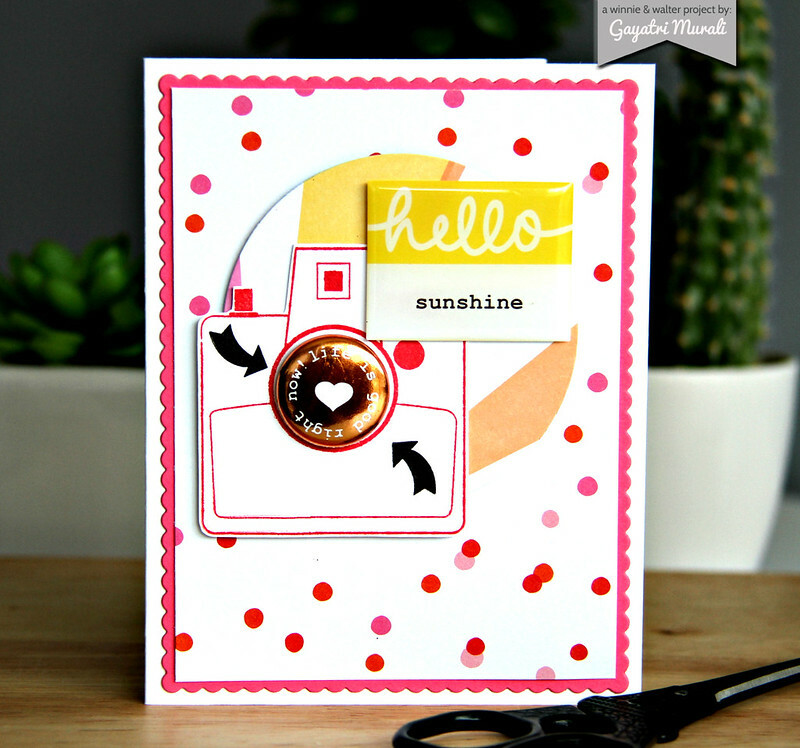 I excited to share with you couple of my cards using the gorgeous new Pink Fresh Studio May Embellishment kit. Julie from Winnie & Walter designed the amazing stamp set for this kit and this is just fantastic. Love love the copper elements in the kit. This is the kit. 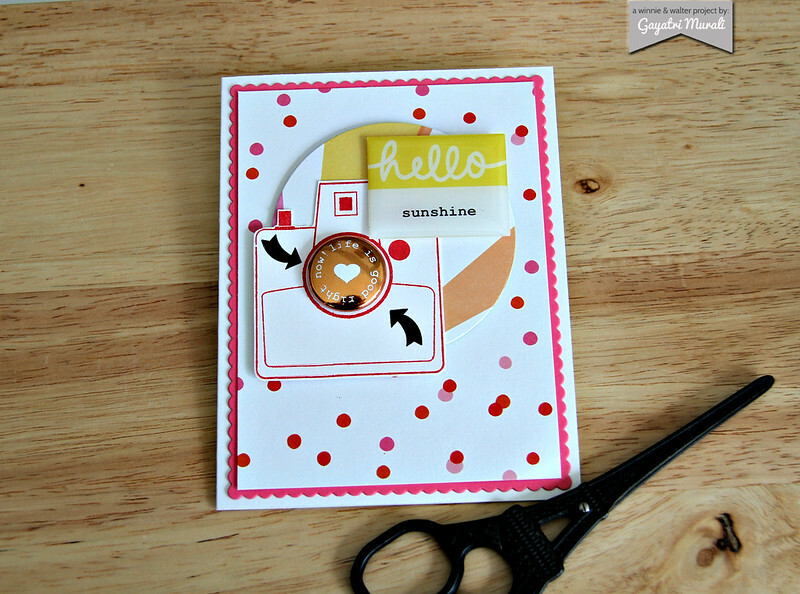 Here is my first card using this kit. Like I said I love the copper elements in this kit. So I combined blue, yellow and copper along with neutral white for my card. I did some ink smooshing to get my background blue layer. Then I adhered the alpha stickers on a cardstock panel, then die cut using the smaller rectangle from Essentials: Katherine Cutaway from Winnie & Walter for my second layer. For the smaller layers, I used vellum then a shaker pocket using the gorgeous iridescent yellow heart shaped sequins from the kit. To make this, I used the new Fuse tool from We’re Memory Keepers. I am so happy I have this tool to make my own pockets 🙂 Then I trimmed the tag from the kit to add the third layer. I love how the mesh gives beautiful texture to the layers. 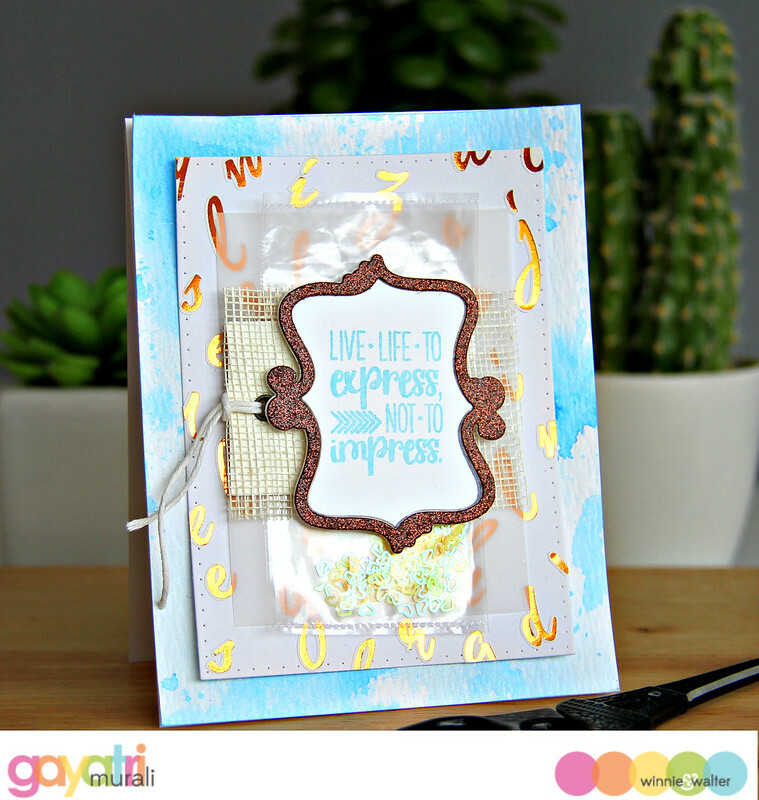 Finally I stamped the sentiment from Julie’s stamp set in the kit on its die cut with the outer frame die cut using copper glitter paper. I just love the layers and colours in this card. Came together so beautifully. For this card, I have used some Pink Fresh Studio paper from an older kit to layer on top of the scalloped die cut using Essentials: Audrey Cutaway. 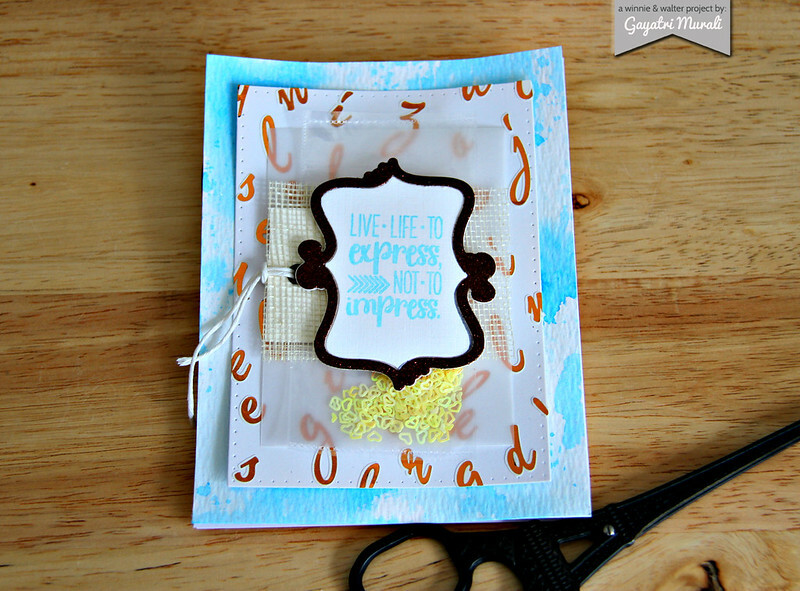 Then I stamped and cut the camera from The Write Stuff; Perfect Picture stamp set. I added the copper flair from the kit to the camera and added the Epoxy sentiment from the kit. This is a very simple card with a tinge of copper element. Check out the Winnie & Walter blog for more design team projects using this amazing Pink Fresh Studio May Embellishment Kit. Winnie & Walter are giving away this amazing kit. So make sure you leave a comment on W&W blog to enter a chance to win this kit.